Transformer oil storage tanks are further classified based on the capacity (Volume) of the machine ranging from 1000 Liters to 90000 Liters. 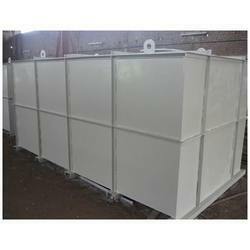 We are engaged in offering Transformer Oil Storage Tank. Tank Material: IS 2062 Gr. A/B or SA 36 etc. Design: API 650/IS 803 etc. DESIGN CODE: API 650/IS 803 etc. Transformer Oil Storage tanks 12KL capacity mounted on 4 wheel trolley was design and build for Narmada Hydroelectric Development Corporation Limited, Narmada Nagar for in plant usage. These tanks are protected inside by oil resistant paint. We had supplied 5 Nos. tanks to NHDC Ltd.
Our company has been successful in winning appreciation from the clients as one of the most prominent names in supply of Transformer Oil Storage Tank. We are one of the well-distinguished companies in the market that is into presenting a quality approved range of Transformer Oil Storage Tank. This is well known amongst clients for efficient functioning, rigid construction, and increased operating life. Our reputed entity is engaged in supplying Transformer Oil Storage Tank. 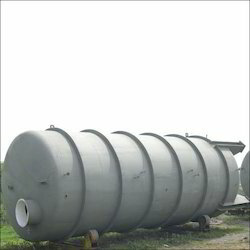 With our expertise and trustworthiness, we are engaged in offering an optimum quality range of Oil Storage Tank.